A picture of the Apollo 17 astronauts in 1972 got me thinking about shadows on the moon as part of the archaeology of the six human landing sites. The peculiar character of light on the Moon of course forms part of the corpus of conspiracy theories claiming the lunar landings were faked. It's argued that the shadows seen in photographs and film footage are caused by the lighting in the studio where actors lumbered about pretending to be in low gravity, rather than the Sun. Or something like that. To be honest, I don't spend a lot of time thinking about the conspiracy theories. (But I will offer this gem from the sublime Mitchell and Webb). Shadows on the Moon are, however, of great interest from a completely different perspective. Years ago, I was in the library at the Defence Science and Technology Organisation headquarters here in Adelaide, and found a book that has stuck in my memory. 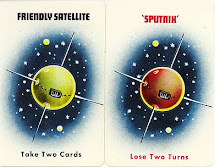 It was a study written for US Congress, in the 1980s, on warfare in space. The chapter on the Moon was all about how lunar conditions would affect hand-to-hand combat. 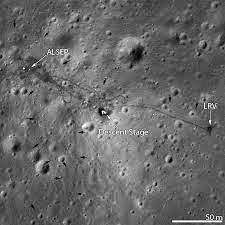 The author, a military expert, noted that many of the properties of lunar light would make a sort of shoot-out situation particularly interesting. For example, if you hid from someone in a shadow on Earth, you would still be visible. Light diffuses through our heavy atmosphere and shadows can be all sorts of colours (vide Goethe: 'colour itself is a degree of darkness'). On the Moon, shadows are as black as Hades. Although reflection from the lunar surface will still illuminate objects in shadow, if you go deep enough into one, for example, under a boulder overhang or in a crater, you can be invisible to observation. You're also cold. The temperature in shadow drops markedly. In a battle with human protagonists, terrestrial instincts may lead you far astray. 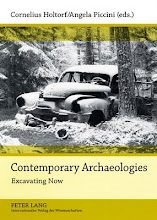 But let's move on from this gloomy topic and get back to the archaeology. 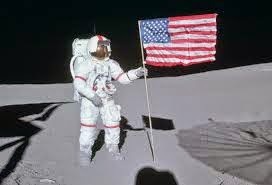 One thing the astronauts from the Apollo missions brought to the Moon was new shadows, shadows that were cast by machines and bodies and flags and rovers, in an interplay of movement and stillness. The speed of the shadows differed depending on the activity being carried out. Some were solid black and some were textured. They crossed and uncrossed with the angle of the sun and the movement of the astronauts around the tiny landscapes that constituted their lunar experience. 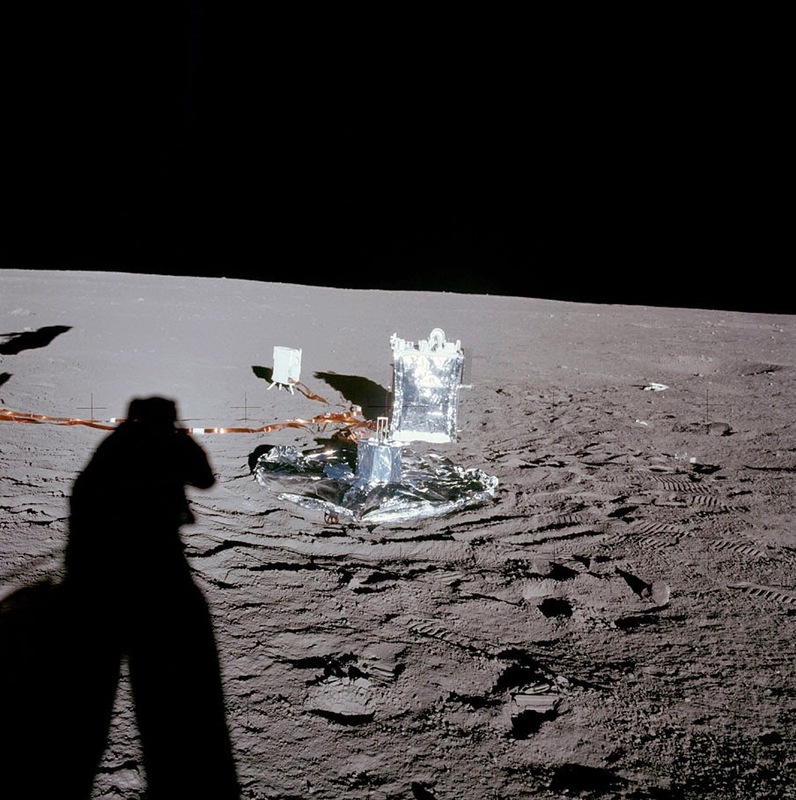 The shadows were captured and frozen in many, many photographs of all Apollo missions; in these photographs, they became a different type of artefact. I would be curious to know if anyone (apart from conspiracy theorists) has analysed the shadows in these images. 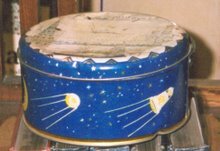 Apollo 14. Note the beautiful transparent shadow of the mesh antenna, like a flattened sea creature. Image courtesy of NASA. And then some shadows left, never to return, and other shadows stayed to be swallowed by the lunar night and to emerge into day again. The shadows of the flags, descent modules, rovers, cameras, and other equipment are now cast over the lunar regolith until something causes the object to decay in tens, hundreds or thousands of years. The objects left behind don't move, but their shadows circle them in diurnal devotion, sundials without a mission. 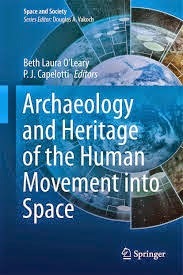 The shadows may, however, be of more than passing interest in considering the taphonomy of lunar sites. There's some evidence to suggest that dust levitates as the terminator passes over, due to changing electrical potentials. There may be small-scale surface dust movement as shadow boundaries change, creating sub-millimetre electrical fields that cause dust particles to accelerate and collide with each other (NASA 2011). So the dust environment of the objects left on the Moon may be not static, and we don't know what the long-term impacts on material degradation are. Now, the Lunar Reconnaissance Orbiter uses the shadows to detect the presence of these orphaned items of material culture. Apollo 15, photographed by the LRO. Image courtesy of NASA. Note: updated 16/12/2014 to include paragraph on photographs. Updated on 21/1/2015 to include paragraph on dust levitation. 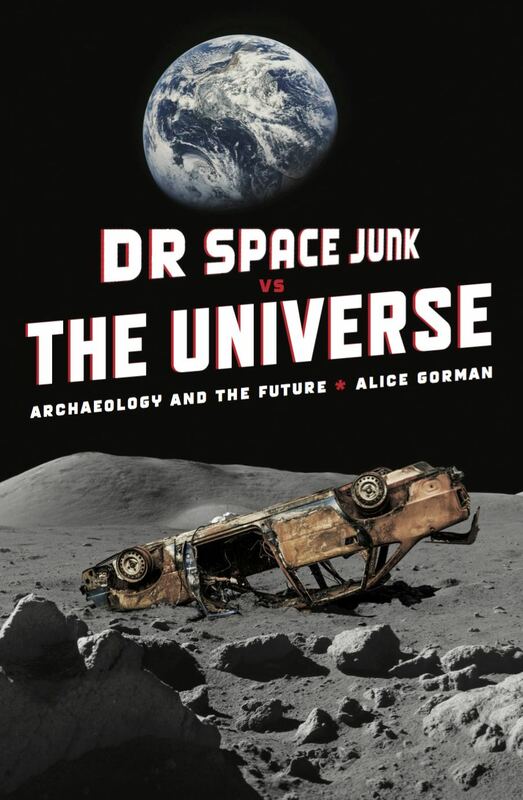 Space Archaeology: The Next Decade.